Featuring italian silk fabric floor length kameez enhanced with heavy embroidered work at neckline sleeves cuffs and lower part of in the vertical panel. This semi stitched type dress comes along with santoon bottom santoon lining and chiffon duppta having four side lace border. 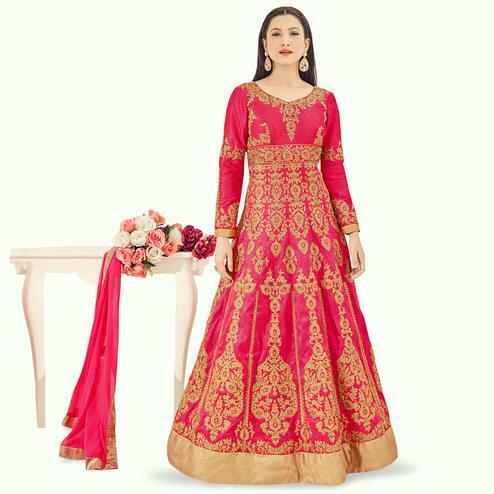 Suitable to wear for parties receptions and wedding functions. 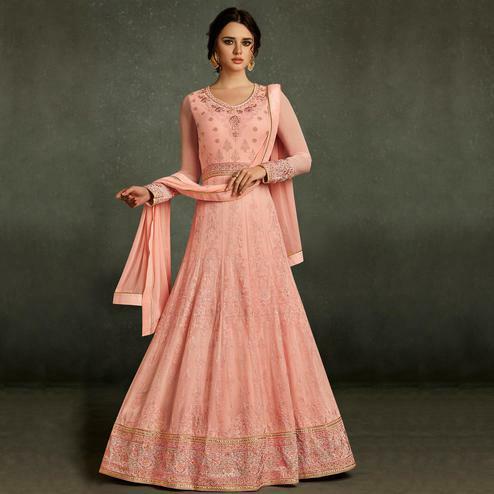 It's a must have outfit in your ethnic collection so buy it now.